The 20th anniversary of Louisville’s beloved independent radio station, 91.9 WFPK, will be toasted with a one-of-a-kind beer collaboration of an independent Louisville craft brewer and a local coffee shop favorite. To celebrate WFPK’s two decades, Falls City Beer will serve a limited edition Quills Coffee Brown at the Jan. 9 All Star Jam concert, with a portion of sales supporting the local independent music station. The anniversary concert takes place this Saturday at 8 p.m. at the Brown Theater and will feature Ben Sollee, Wax Fang, Twin Limb and more. Also, a portion of sales of Quills Coffee Brown at the craft brewer’s bar and restaurant location, Over the 9, will benefit WFPK while supply of the limited edition brew lasts. Falls City’s Quills Coffee Brown is a collaboration with Quills Coffee, the Louisville-based coffee shop and roaster recently dubbed “America’s Best Coffeehouse.” The beer is brewed with chocolate and crystal malts to complement but not overwhelm the coffee addition, and then infused with Quills Inkwell Blend coffee using a cold-extraction method. At 6.8 percent ABV, it’s a well-balanced beer that will complement the high-energy of the concert. Falls City Master Brewer Dylan Greenwood will also be on hand at the event to talk craft beer with fans, and to provide inspiration for attendees to take #FallsCityBearded selfies with handheld beard cutouts. 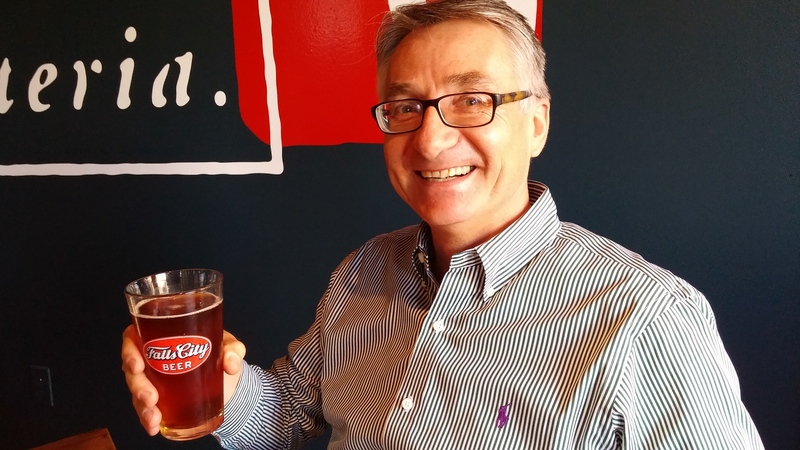 Falls City Beer will also offer Kentucky Common on draft. Kentucky Common is an easy-drinking ale brewed with corn, barley and rye – similar to a bourbon mashbill. The beer style originated in Louisville and, at one point, most beer consumed in Louisville was in the Common style before it disappeared during Prohibition. Hipster Repellant IPA, a piney, citrusy IPA with a caramel and toffee malt bill available year round, will also be on offer in bottles. Tickets to the WFPK 20th Anniversary Celebration All Star Jam can be purchased in advance at www.kentuckycenter.org. 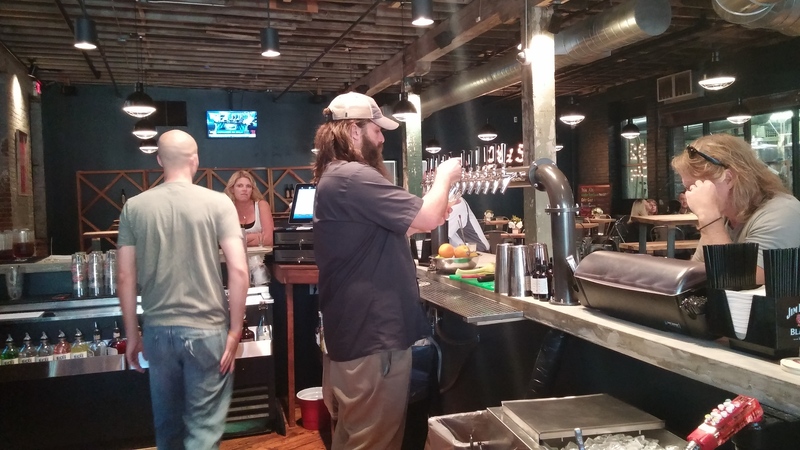 LOUISVILLE, KY (July, 2015) – BoomBozz is celebrating the opening of its seventh taphouse restaurant in St. Matthews by launching its own line of signature craft beers. The first brew is called 16.5 Hefeweizen. It’s an American wheat beer inspired by Founder and CEO Tony Palombino’s favorite beers, and locally brewed by Falls City. 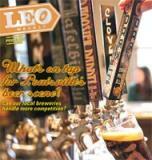 16.5 refers to the number of years that the BoomBozz chain has been serving great food and brew in Louisville. BoomBozz will be partnering with other local brewers to create a variety of Seasonal Collaborations. Local brewer [Goodwood] has already begun creating a special barrel age beer for BoomBozz. The barrel was chosen by BoomBozz customers and Knob Creek employees. Look for other tasty collaborations in the future with Country Boy, Rhinegeist, Schlafly and other talented local brewers. Through 19, 16.5 Hefeweizen will be available for just $3.99 a pint at participating BoomBozz locations. The “Hispter Repellant” IPA was, indeed, a little angry. 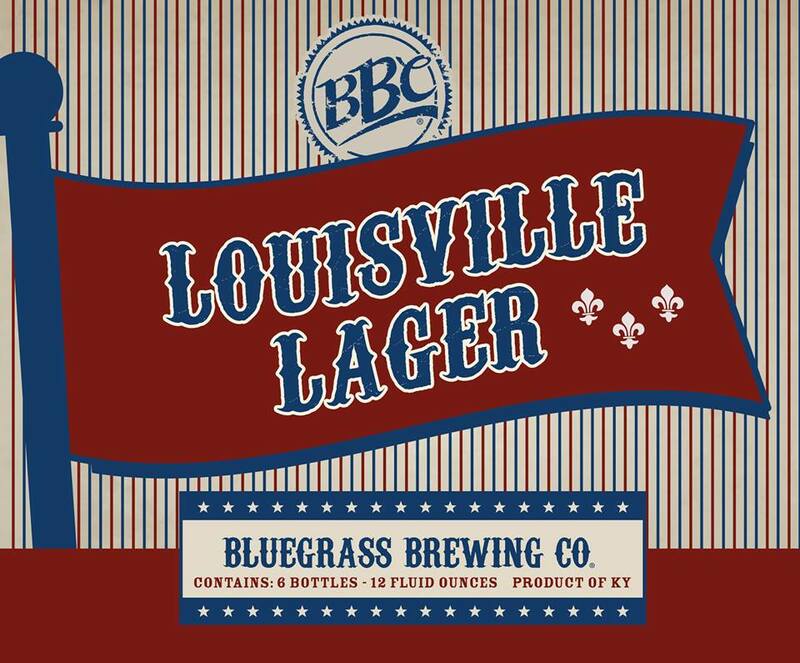 Hipster Repellant (which may or may keep its name when released to the public) is a special brew made to be available at Louisville-area Liquor Barn locations. 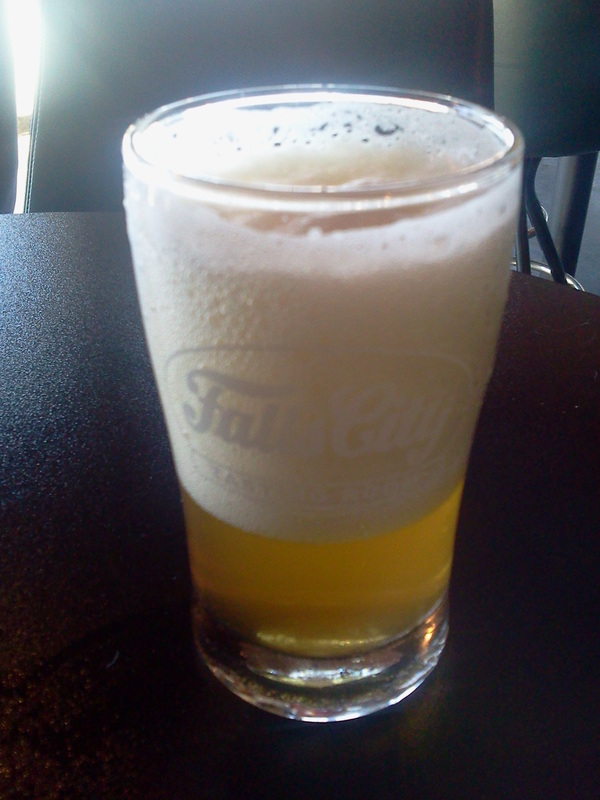 While it had just been kegged and therefore was a tad over-carbonated when Falls City’s Rob Haynes poured the samples, the nose on this beer is outstanding. “It’s a little angry,” he said, referring to the over-foam. When I mentioned the nose, he said, “I just want to huff it.” Indeed. It has less of a hop bite than the nose suggests, but there is still plenty there — I’d guess it at around 60 or 65 IBU. It’s crisp and smooth, with a creamier mouthfeel than I expected — although that very well could have been pushed along by all the foam. Kentucky Waterfall APA (6.6 percent ABV, 40 IBU): Straw-colored, mildly cloudy and crisp, this drinks like a great summer beer. My dad isn’t what you’d call a hop-head, and he really liked this one. It’s surprising this one is 6.6 percent alcohol, because on the palate and nose it could pass for a session beer. It’s a solid entry. 502 APA (5.5 percent ABV, 55 IBU): Of course I had to try this one, simply because of the name; maybe this can be the official beer of 502Brews.com. Made with Amarillo hops, this one is a brilliant orange color, very dry on the finish, crisp and lager-esque. I could drink this stuff all day. I’m not a University of Louisville Cardinals fan, but I am a fan of Louisville beer. Therefore, I am quite happy that Falls City Beer is now available at Papa John’s Cardinal Stadium. I haven’t been to a game this season, so I didn’t even realize it until Falls City sent out the announcement via its e-newsletter and a tweet this morning. But you need to know where to look: You can get Falls City Pale Ale near Gates 9 and 1 (Stands 1 and 23) during football games. Usually, the stuff being carried around in tubs and even on draft at the concessions stands consist of corporate swill and corporate swill light, so this is a fine development. Cheers to Papa John’s Cardinal Stadium. 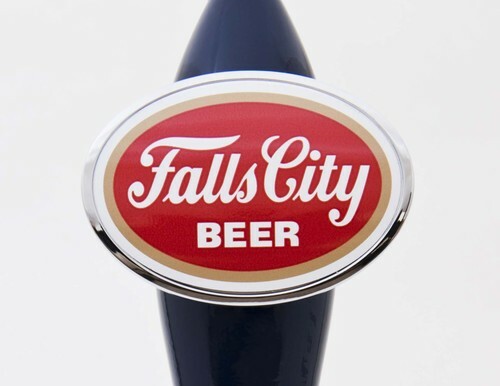 Falls City Kentucky Waterfall APA: This new APA features Cascade and Simcoe hops giving it a piney and citrusy hop character. A mild malt backbone adds hints of caramel and toffee. 6.6% abv, 40 IBUs. Had a couple pints at Apocalypse Brew Works over the weekend. Leah Dienes just keeps on brewing up tasty Louisville beer. ABW Hop Project: Cluster (4.6% ABV, 42 IBU) is Apocalypse’s APA of the moment. It’s another classic summer ale that has just enough bitterness to let you know it’s there, but is smooth-bodied and sessionable. This one pours a cloudy, dark orange – it was almost red. Of course, I drank it from a plastic cup in the not-too-well-lit Apocalypse tap room, so that probably influenced my vision. I liked it so much that I had two of them. Speaking of APAs, while I haven’t had the opportunity to try it yet, Falls City announced the release of 502 APA. If you’ve read this blog before, you know I’m an APA guy, and this one sounds pretty nice. Grammy-award winning Kenny Rogers continues his brilliant creativity with his new album You Can’t Make Old Friendsset for release on October 8th. Being the first country album since Water & Bridges in 2006 he stretches his artistry into new musical territory. He brings these fresh new tracks with his classic sounds by collaborating genres to tell his great stories through rock and roll, soul, gospel, southern rock, zydeco, and sounds of the Southwest. Rogers even ads those old friends to the record like Dolly Parton, collaborating a brand new duet. Kenny Rogers continues to bring year 2013 with a bang, after the announcement of his induction into theCountry Music Hall of Fame this fall. Rogers also performed on the main stage at this year’s Glastonbury Festival to a colossal audience on the grounds and around the UK as it was televised on BBC. His Through The Years World Tour has included stops in Morocco, England, Scotland, Wales, Ireland, Switzerland, Canada and the U.S. This fall and winter, Rogers’ tour will roll on with more U.S. and Canadian dates, including the Christmas & Hits Through The Years Tour, his annual holiday performances, in late November and December. In addition, a novel Rogers co-wrote with Mike Blakely, What Are The Chances, is being released today (September 3rd) and Rogers’ New York Times Best Selling autobiography, Luck Or Something Like It, will be released in paperback on September 27th. Also, if you see that Kenny is touring in your area and you would like to interview Kenny about the upcoming show, please let me know.